Best of all, some of these solutions are super simple and don’t even require any tools at all. 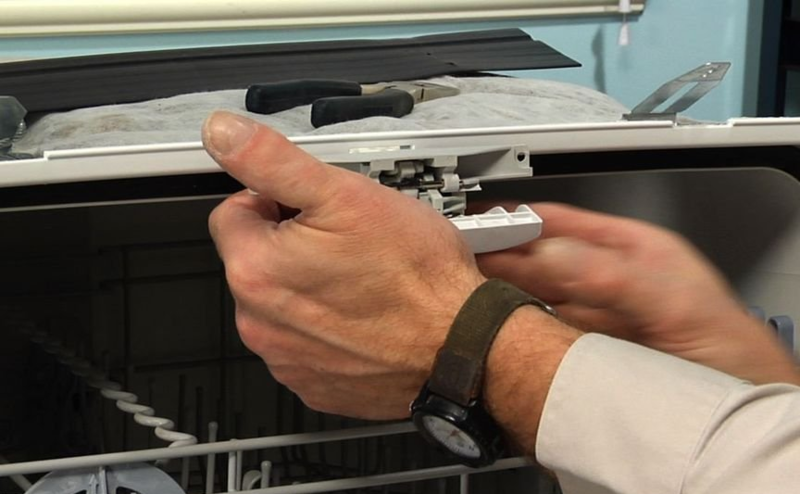 Here’s a list of the most common scenarios as to why your dishwasher won’t start, and step-by-step guidance on how to fix them. 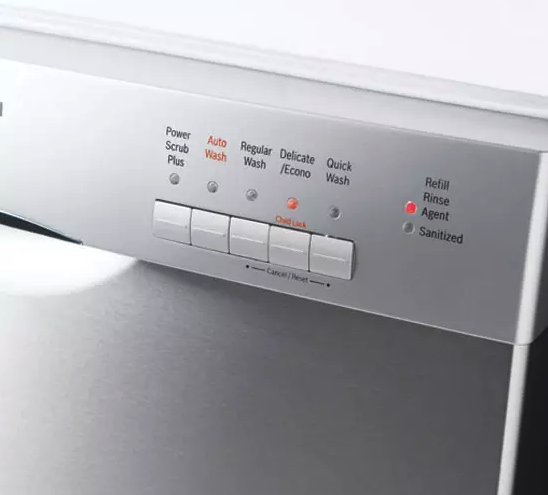 To prevent little ones from accidentally starting the appliance, your dishwasher has a child lock function that, when activated, will essentially ignore any other buttons that are pressed. If your dishwasher isn’t starting, start by checking to see if the child lock function is currently in use. Every dishwasher is different, so be sure to refer to your manual if you’re uncertain what this may look like. Typically, you’ll see a symbol of a lock on the control board. If the child lock function is activated, it will be illuminated. If you see that the child lock is lit, press the button down for about five seconds until the light goes off (or refer to your manual on how to shut the child lock function off). You should be able to start a new cycle right away once the child lock function is off. In order for a dishwasher to start a cycle, the door must be completely shut and the latch must lock—otherwise the dishwasher won’t be able to start. 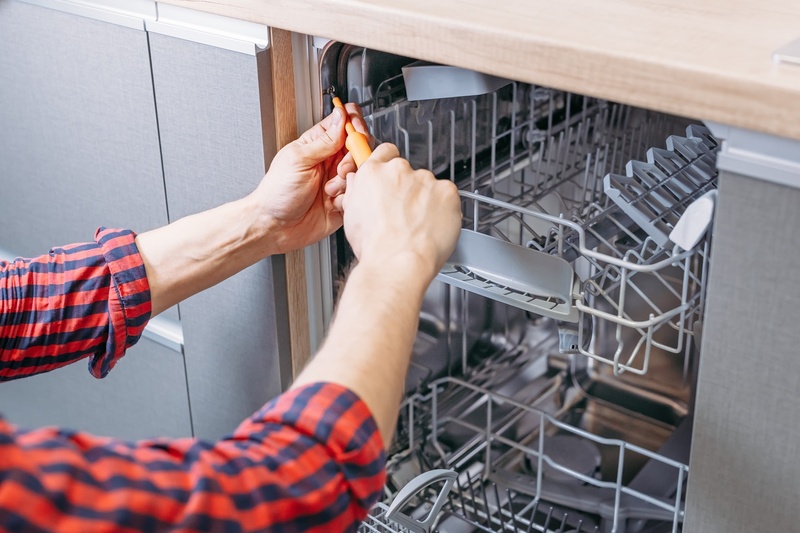 If your dishwasher won't start, check to make sure there are no obstructions that are preventing the door from shutting, like a large utensil or an oversized bowl. Once the obstruction is gone, you should be able to shut and latch the dishwasher and it should start as normal. Occasionally, a dishwasher won’t start because the latch is broken. This is a simple fix that you should be able to do at home. First, you’ll need to shut off the power to the dishwasher from the breaker box. Once the power is off, take your Torx bit screwdriver and unscrew all of the screws that are on the interior panel of the dishwasher door. After all of the screws are out, separate the interior panel. You should now see the bad latch, which should be attached to two sets of wires. Remove the old latch from the wires (they should pop off pretty easily without tools) and then connect the new latch to the wires. Set the latch back in place, place the panel back on and screw the screws back on using the Torx bit screwdriver. Then, turn the power back on from the breaker so that you can test a cycle. If the latch is properly working and the child lock isn’t on, it could potentially be a blown thermal fuse. When a dishwasher overheats, this can cause the thermal fuse to blow and prevent the appliance from starting as a safety measure. First, you will need to shut off the power to the dishwasher from the breaker box. After the power is off, remove the screws from the inner door panel using your Torx bit screwdriver. Once all of the screws have been removed, you should be able to fold the control panel forward and down to access the thermal fuse. It’s not necessary to completely remove the panel. Now, you will need to remove the thermal fuse from the control panel. To do this, push down on the release tab on the thermal fuse and pull forward and then out from the locking tabs. You will then need to remove the wires (which will be on either side of the thermal fuse). To install the replacement, connect the wires to the new thermal fuse. Place the thermal fuse underneath the locking tabs and then pop it back it into position. Fold the control panel back into place and reattach the door panel. Finally, flip the breaker to power the dishwasher and test it out. If you’ve tried these troubleshooting techniques and are still having problems with your dishwasher failing to start, Puls is here to help you sort it out. Book an appointment online and our savvy technicians can be there fast—even as soon as the same day—to get your dishwasher up and running once again. We’ll come perform a full 25-step diagnostic on your door for just $79, and this fee is waived if you move forward with the repair. Best of all, our work has a 90-day guarantee on all of the parts and labor, which means that you never have to worry once the technician drives away. Tired of washing your dishes by hand? We don’t blame you. Schedule an appointment with Puls today and get that dishwasher back in working order in no time - you’ll be glad you did.